We are tree surgeons in Bury and we are affordable, friendly & reliable. 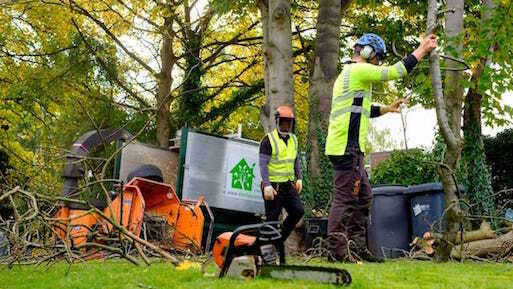 We are tree surgeons in Bury that carry out work to a professional standard. We are professional outfit with a combined 30 years of experience and we take great pride in delivering work to a high standard and meeting our customers expectations. Elm House Tree Services have full insurance for your peace of mind. We like to keep our prices competitive to be the first choice and when we quote we put our best quote forward first time to help make it as affordable as possible for you. If you choose to get in touch with us today we will normally reply same day as we understand that if you need it sorting, you will most likely want it done ASAP. We scope out the job & turn up with a plan – and the right tools. We get in and get out & deliver to high quality. We do the job & leave it tidier than we found it. Everything we chop down is recycled. We behave in a professional manner. We are a pleasure to be around on the job.